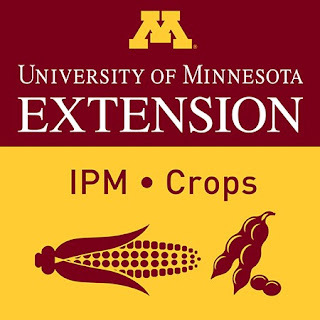 Welcome to the 4th IPM Podcast for Field Crops – this Podcast is sponsored by the UMN Extension Integrated Pest Management (IPM) Program. In this week’s podcast we are featuring the services of the University of Minnesota Plant Disease Clinic, which is a multi-disciplinary diagnostic laboratory that provides testing for: fungal, bacterial, viral, and other plant health conditions for commercial growers, farmers and the general public. This includes routine diagnosis of agronomic and horticultural plant diseases, virus analysis and other services such as molecular diagnostics. The goal of the Plant Disease Clinic is to provide clients with an accurate, unbiased diagnosis of plant diseases. Our guest this week is Dr. Brett Arenz, Director of the Plant Disease Clinic. The Plant Disease Clinic diagnoses thousands of samples each year from state and federal agencies, the agriculture and horticulture industry, and the general public. Brett discusses the clinic’s operations, sample preparation and disease diagnosis. 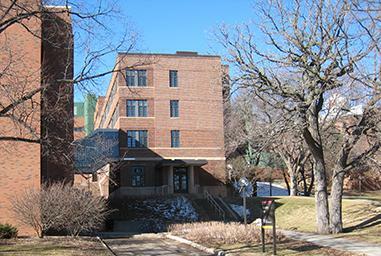 The Plant Disease Clinic is located in the Department of Plant Pathology, University of Minnesota, 1519 Gortner Ave, 105 Stakman Hall, St. Paul, MN 55108. Please consult the Plant Disease Clinic website https://pdc.umn.edu/ or call at 612-625-1275 for instructions on sample submission, fees for diagnosis, and additional information. The clinic is part of the National Plant Diagnostic Network (NPDN) which monitors and tracks the movement of plant pathogens in the U.S. The Plant Disease Clinic is part of the Department of Plant Pathology in the College of Food, Agricultural and Natural Resource Science. Special thanks to Anthony Hanson, Extension Post-Doctoral Associate for recording and technical assistance. The purpose of the IPM podcasts is to alert Growers, Ag Professionals and Educators about emerging pest concerns on Minnesota Field Crops - including corn, soybean, small grains and alfalfa. We also review recent pest trends and research updates. Subscribe to the podcast and never miss an episode on iTunes and now, Stitcher .